What should I talk about today? I guess I can talk a bit about what I’ve been thinking about. I’m currently in Haiti but originally from Canada. I grew up in the country not having much but having the essentials. And I think growing in the country was preparing me for this mission. In Haiti many people have next to nothing and yet they are so happy. I remember growing up I always wanted more and more but my parents told me ‘the more material things you have the less happy you are’. When I was 4 I had no idea what that meant and I did not believe my parents, I just wanted more. Now I realize how true it is. If you don’t have many things to preoccupy yourself with then you fall back on human relationships. You mean people actually talk and not just text? Yes people here talk, they have friends, they play soccer with an old Coca Cola bottle, they study together. 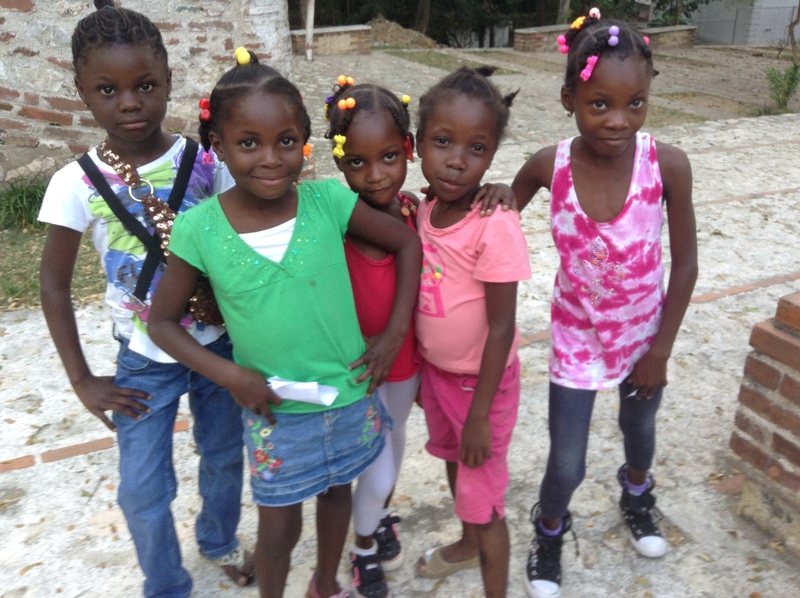 It’s rare that you will see a Haitian alone, they are always in groups joking around and having fun. I find people here are more touchy feely but not in an awkward way. It’s more of a I’m comfortable with you so I don’t mind holding your hand. Guys and girls hold hands even though they are not a couple. It’s just a sign of friendship. Physical touch is one of my love languages so I can appreciate when they give me a tap on the back, a handshake or a hi 5. But I do have to say that I feel awkward when they want to hold my hand. It’s a culture difference. I don’t mind when women or girls do it but it’s when guys do it that I’m uncomfortable. I always have to question the guys’ intentions. I’ve been asked a few times in marriage here already and I’ve also been asked to go over at their place for the night. Never would I want to go to a guy’s place, especially if I just met him. I’m generalizing but I noticed that Haitians have a thing for white people. Whenever they see a white person they have to go talk to them. At first I didn’t mind that. I liked the attention but now it really bothers me. I can’t wait for the day that I go for a walk and no one asks me to join. I do like my alone time but Haitian don’t understand that. Again, it’s a difference in the culture.